Please find below highlights from Sunday's Skype meeting. Note: The information below consists largely of my pre-meeting notes. There were several topics discussed during the Q&A portion of the meeting not included below. If you want to be sure to catch everything, be sure to catch the next meeting. Opening: "GoldCoin (GLD) is the world's first Hard Money. A super secure value store and cash payment system for the New Digital World." 1. Nova Exchange volume has been increasing lately and accounted for the second highest Goldcoin volume over the past 24 hours behind Bittrex. This is a positive sign indicating greater trading distribution. 2. Mike Hearn has just released never-before-seen letters between himself and Satoshi Nakamoto. These letters provide the last remaining pieces of the puzzle. We now have the the entire blueprint for completing the vision of a trustless, permissionless currency (aka digital gold), and delivering it via the Goldcoin brand. 3. Today's meeting was recorded via screen capture and will be archived for possible publishing at a late date. 4. As predicted at our last Sunday meeting, Goldcoin has broken through its 10 cents resistance level of 4 years. It appears that 10 cents is now a strong level of support. The Goldcoin price continues to demonstrate remarkable stability, considering the recent turbulence in Bitcoin, and continues its steady upward trajectory month over month. 5. To ensure success we must remove all potential points of failure. As long as we are dependent on any device, exchange, provider, or individual, we are exposed and at risk. The internet is a prime example of proper decentralized scale. Goldcoin aims to be the internet of money. There is no other way to achieve unlimited scale. I'll get to work updating this thread sometime when I get a break in the action. Sorry for the delay. Lets talk about Viet Nam and India @ our Sunday Team Meeting ! Note: The information below consists largely of my pre-meeting notes. There are always topics discussed during the Q&A portion of the meeting not included below. If you want to be sure to catch everything, be sure to catch the next meeting. 1. Bitcoin cash model. One set of consensus rules, multiple development teams. 2. Distributed and decentralized. We must have both. 3. Strength wins over excuses. 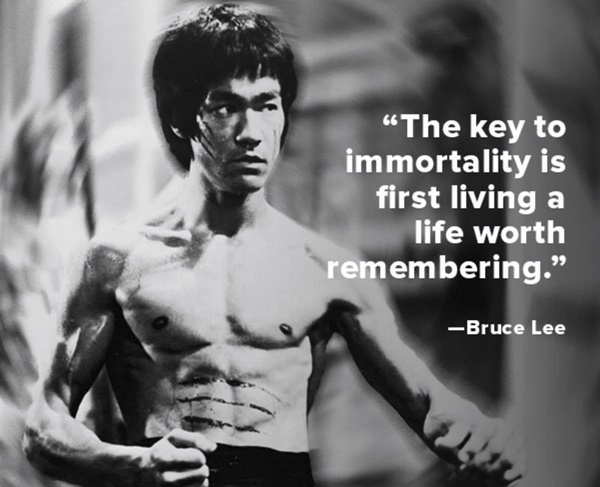 Be dedicated and strong. 4. New writer. Press release and white paper coming next week. 5. Need more buyers on Bittrex and more mentions on Twitter. 6. Craigslist ads in 2 Indian cities. Need rep from India on dev team. 7. 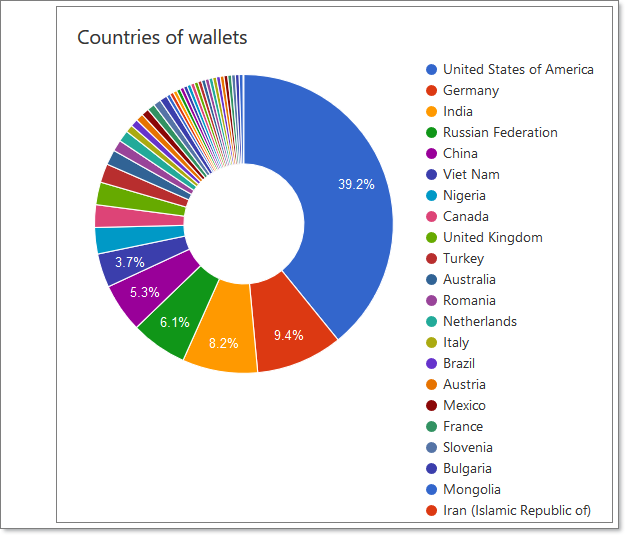 India is now in the #3 Goldcoin country and shows no signs of slowing. 8. New youtube creator. First video has been produced. 9. Still working to improve organization and communication of core development. 10. Goldcoin is trading at 17 cents, 8 cents shy of year-end price target. 11. Local investor meeting for first time. Edward Jones now referring all cryptocurrency clients to me. "point 5. Need more buyers on Bittrex and more mentions on Twitter." I for one used to keep the buyside up on Bittrex, but now my withdraws are locked at Bittrex with no warning, no solution despite tickets etc, I was a legacy member with 1337BTC withdraw limit, now 0 BTC withdraw limit, my coins are stuck (including all recently purchased goldcoin), seems thousands have the same problem (look at their twitter). My advice therefore is don't trade on Bittrex! I think community should be warned. Also with the current situation Goldcoin needs a new main exchange with urgency. 2) The time where you can move around millions of dollars around the internet anonymous seems slowly but surly come to an end. 3) I am not sure if it makes sense to get on another exchange, because they will also have KYC , so if you verify yourself on bittrex or on another exchanges comes to the same end i guess. My warnings not about having to be verified or KYC requirements, its about peoples funds locked without warning, btw I am verified at Bittrex. Many many people (just read their twitter replies and btt threads) have been lock out of their funds, some they use the verify excuse and the system fails to accept their verification, others already verfied wake up to funds being locked. I'm personally fine i never keep more the 1% on any exchange so I can take the hit (though not impressed), but what about those at whose money is significant to them no matter the amount and this close to christmas. Anyone who's been around this community awhile will notice Gox and Cryptsy both delayed withdraws citing verification as an excuse for months.....we know how that turned out. Also its a good time for Goldcoin to explore other places to obtain goldcoin, lets not take too much a hit on Goldcoins progress by having one exchange with most the volume. I'd like to thank everyone for attending tonight's important Skype meeting. This week we had both our Senior Developer and Chief Scientist present along with Team India and several community members. I'm sure we broke the attendance record. Below you will find a brief summary of the various topics discussed. 2. The perfect domain for our project's official website is clearly GOLDCOIN.ORG. After a pursuit that has lasted several years, this week the community can finally claim the domain as its own. We now join the ranks of Bitcoin, Litecoin, Ethereum, and many others. The domain goldcoin.org has already been transferred to our escrow agent and should go live sometime today (Monday). 3. New reporting system for contract developers. The Core team has contracted several professional developers to assist us with our ambitious network upgrade (currently underway). Eric and Cryptosolar have established a work reporting system that allows us to better track and organize the Slack team. 4. The renowned writer Andrew Rosenbaum has agreed to author the "Official Goldcoin Whitepaper." This whitepaper will give investors and other interested parties a single authoritative source for learning about our currency's design, its mission, and underlying ideology. This paper will be published on the Goldcoin website this week. 5. Team India in collaboration with Cryptosolar is building a 1.5 GH/s solar mining farm expected to begin operations in early February. This project will be an excellent promotional tool for Goldcoin while also helping to improve overall mining distribution. 6. The Christmas marketing campaign is showing results. Our Marketing Director Albert Milligan is overseeing our Christmas marketing campaign which features various articles and press releases alerting the public to our brand and its ongoing development. We plan to ramp up this ad campaign in the final weeks before Christmas. 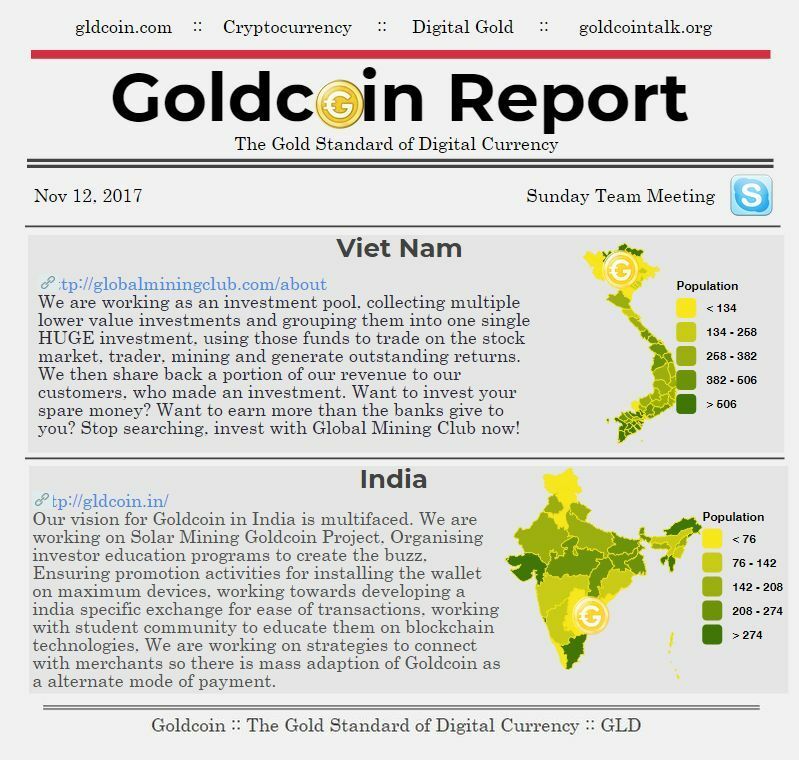 Be sure to follow Goldcoin on Twitter as we tweet each press release and promoted article. 7. There have been many new additions to the official website including a newsletter, GLD price ticker, blog, and press release sections. Be sure to sign up for the newsletter today if you're interested in keeping up with breaking Goldcoin news. 8. Our community continues to grow by leaps and bounds. The Facebook group has just reached 1000 members and Telegram has exceeded 250 members. We encourage all Goldcoin adopters to stay connected with the community by using these social platforms. 9. The Goldcoin Developers Group is in the process of renewing its Thawte code signing certificate. This required a new letter from our certified public accountant. We expect to be awarded a new Thawte 2-year certificate early this week. 10. To ensure the community will have future income for research, development, and general operations we are exploring various fund raising options. 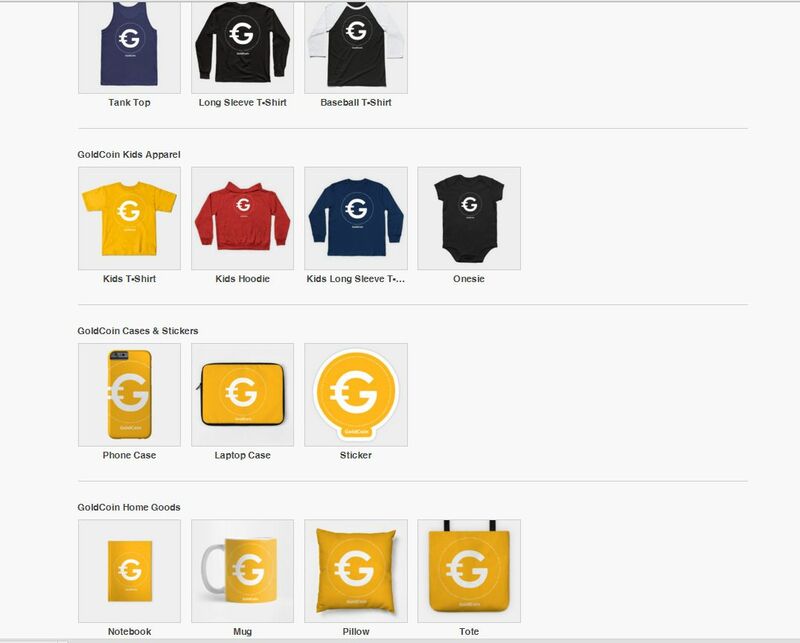 Coinbuilder.org features the new Woocommerce Goldcoin plugin which could be used since testing of the plugin is complete. A domain change and site update is all that's needed to make it operational for collecting funds. 11. The new Goldcoin client has been completed and is ready for our testnet. The Slack team will use a special 500 MH/s ASIC rig from India during testing as the remaining team GPU mines. This will allow us to test the functionality of our 51% defense system in the new updated client. Tonight we had an extended 2-hour meeting. Lots of interesting topics discussed. I'll get the highlights published over the next day or two. I'd like to thank everyone for attending tonight's important Skype meeting. This week we had our Senior Developer, Marketing Director, and several community members in attendance. This was an extended meeting about 2 hours in length. Below you will find a brief summary of the various topics discussed. 1. Since our last meeting trading was halted on Bittrex after an unprecedented price spike and was then resumed after Goldcoin passed a few additional compliance checks. Although our price has increased significantly over the past several months, we are still considered a small cap market. In order to ensure our uninterrupted listing on Bittrex we must continue growing and improving our overall ranking which is currently around #387 in the world. We should make it a top priority to get into the top 200 during 2018. 2. Since our last meeting Goldcoin reached an all-time-high of 36 cents on December 19th. We reached all of our internal targets for 2017. Now it's time to take Goldcoin to the next level and return to the top 200 in 2018. Goldcoin is a hardened version of Bitcoin with 10X the capacity and 5X the transaction speed. The tech fits the brand perfectly. Once people grow into this understanding, they won't want USD, BTC, YEN, or EURO. The people will demand Goldcoin. 3. The Android app is routinely reporting an incorrect exchange rate. This is because the price is being retrieved from the C-CEX API. Eric has been made aware of this issue and is working on an update that will use a more reliable price source. The fix will use coinmarketcap and/or Bittrex for exchange rate calculations. 4. To increase redundancy, we should get Goldcoin listed on an additional exchange. Two of our previous exchanges, NovaExchange and CoinGather, have recently closed while C-CEX looks shaky closing for an entire month so staff could go on holiday. The Goldcoin team has submitted applications for listings on Poloniex and Binance. 5. Last week, the iPhone app developed a bug that caused transactions to appear as unconfirmed. This issue has been resolved. If you are participating in our TestFlight beta program, please be sure to update the app to the latest beta version. 6. The community is calling for a website makeover. An investor group of 17 has offered to help fund the website makeover project. 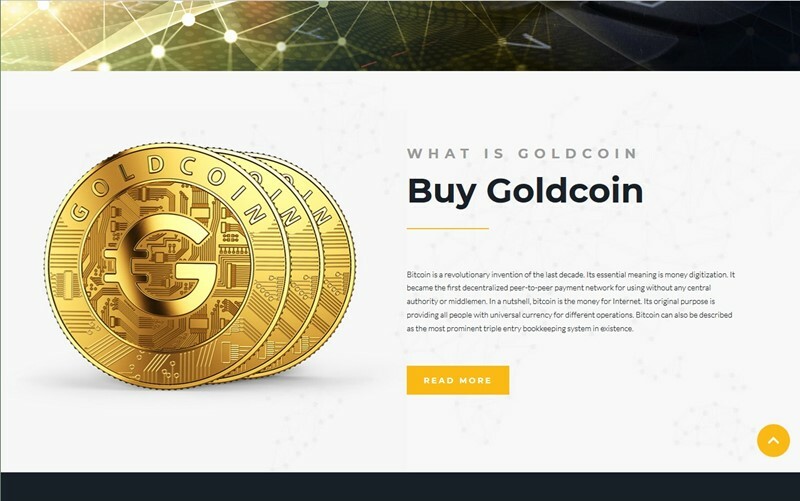 We will be working with Albert Milligan and our website designer to explore various options for improving the overall appearance of the official site which is hosted at Goldcoin.org. 7. The new Goldcoin client is currently being tested and we now need a pool for our Testnet. If you are capable of running a pool and would like to help, please make a post in the new Testnet thread on the forum. 8. I am very happy to report that the most difficult task of all has been mastered in terms of the rebase. Both the 51% defense system and Golden River difficulty algorithm have been successfully integrated into the new 0.14.2 codebase. 1. A lot of people joining us on our Telegram group , we finally broke 500 members and actual count is at 565 so our group grows very fast, we decided to use the "pinned message" for new articles, and to moderate the channel and defining the purpose of the group. seems nearly all tests are passed successfully. 6.Talking again about Goldcoin gets added to more Exchanges like Poloniex and Binance. Opening remarks: "I'd like to thank everyone for attending tonight's important Skype meeting. Many of the decisions being made right now in Slack and in this group will affect the network for the next thousand years. So they're important. This is because the larger Goldcoin gets the harder it will be to hard fork." 1. We have just initiated Testnet Version 2 with the new Goldcoin client. This latest update features a new checkbox inside the client that allows the sending of free transactions under 1000 bytes in size. The median transaction size is 226 bytes meaning most transactions will be eligible for ZF (zero fee). Each block has 5% (100 KB) reserved for free transactions. 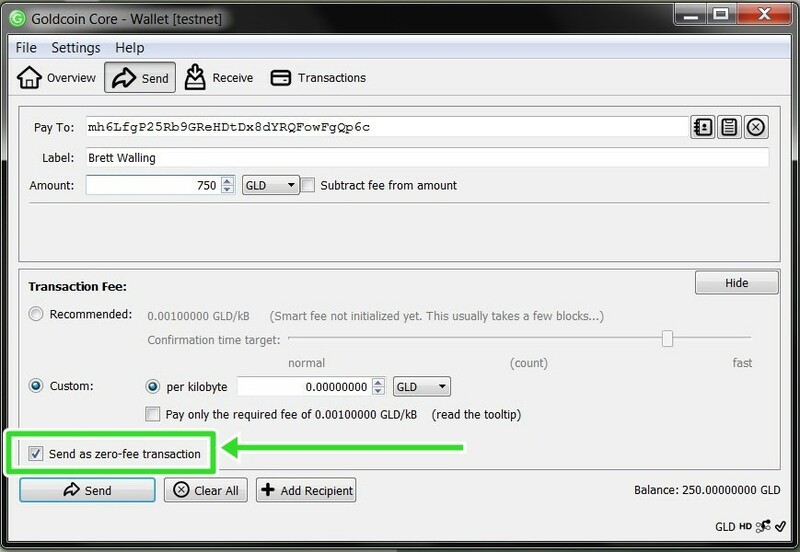 This means the Goldcoin network can accommodate 440 free transactions each 2 minutes (each block) or a total or 316,800 free transactions per day. This amount will be increased to 1 million ZF transactions per day this fall when we increase the block size. 2. Quantum proofing. It has been suggested that we explore the possibility of making Goldcoin quantum computer proof. This would give us an additional edge over other cryptocurrencies that lack this protection. 3. There are currently two whitepapers being developed; 1 short version, and 1 long version. The whitepapers will describe in detail the advantages of using Goldcoin and provide technical information about the inner workings of the Goldcoin protocol. 4. It was suggested on Telegram yesterday that we update the website's "About" page to include all the developers from our Slack team. This update is now finished and features a complete list with bio of each or our six talented developers. 5. Goldcoin has decided to end its relationship with C-CEX after reports of missing deposits and horrible support. This leaves us with two fine exchanges perfectly capable of handing our trading volume. Once the new client is released later this month, we will actively pursue additional listings with reputable exchanges. 6. 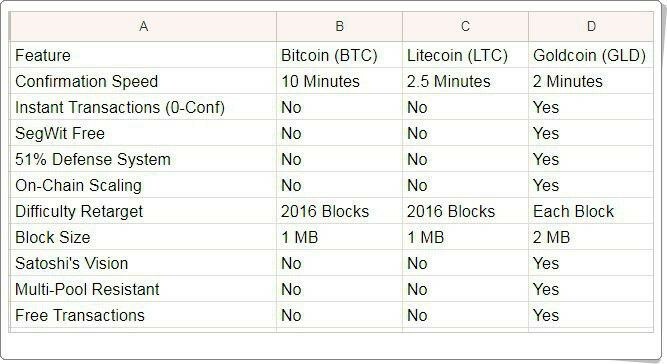 We have produced an easy to understand comparison table that outlines the key differences between Goldcoin and Bitcoin and Litecoin. 7. We are adding events weekly to the 2018 Goldcoin World Tour. We currently have events scheduled in the United State, India, and Germany. 9. Last month sales on trygoldcoin.com reached an all-time-high doubling the previous highest recorded month. Working on meeting notes now from last Sunday's Skype call. They will be published soon! 1. The Telegram Team continues to grow by leaps and bounds. Its size has now grown to over 800 members. 2. 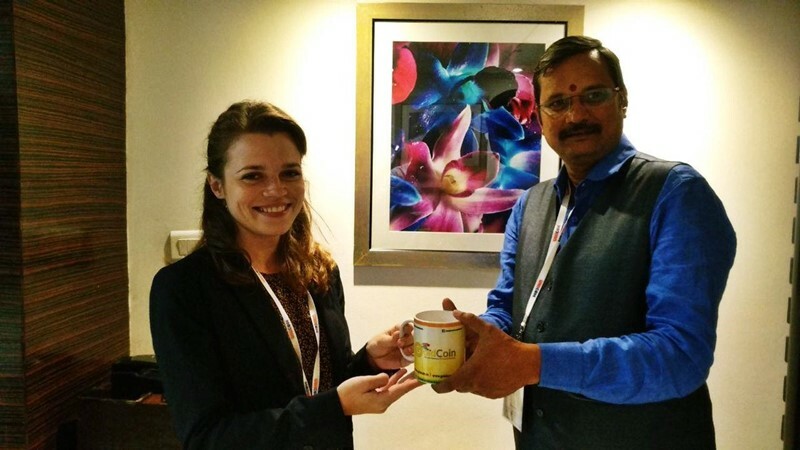 Srinivas has a busy conference schedule in India and is covering a lot of ground. 3. We are encouraging support of exchange trading partner TradeSatoshi. Once volume reaches $1K USD daily, we can have the trading pair added to Coinmarketcap.com. 4. The Goldcoin whitepaper is undergoing some final edits and will be released the first week in March. 5. Our new client is working great on Testnet. We're now addressing one final bug affecting debug log reporting. 6. New website under construction. Please have a look at the concept site below. Feel free to offer your comments and suggestions. 7. We returned to top 500 briefly last week. 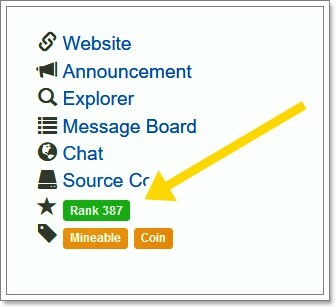 The most important measure of our success is coinmarketcap ranking not coinmarketcap price. 8. Bittrex new monthly minimums (2 BTC daily, 15 BTC buy side). We have also successfully completed their new compliance review and provided additional documentation. 9. There was a brief forum outage during the week due to a local battery backup failure. 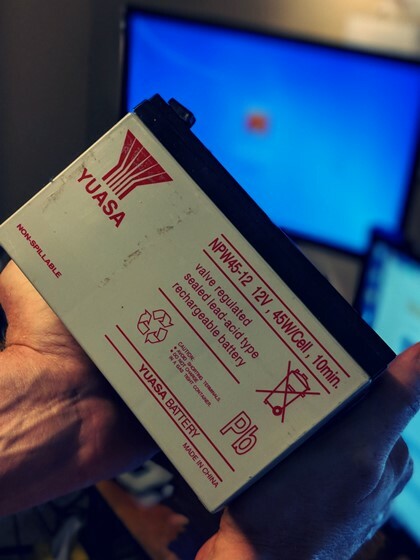 The old batteries (pictured) were replaced in the unit. 11. Possible exchange deal. We're currently considering an offer from a major exchange regarding a new listing. Additional details will be released in March.